Speed Master is an Internet speed measurer. 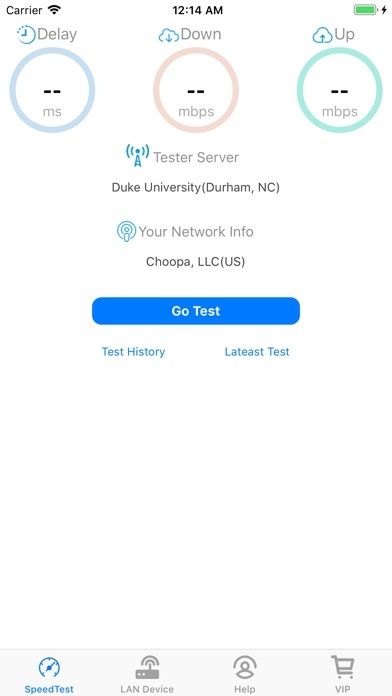 With just one tap, it will test your Internet speed through thousands of servers worldwide and show accurate results within few minutes. - Test net speed of Download, Upload, and Delay. - Test your network delay to 180+ county all over the world. - Save the past results of Internet speed test automatically.